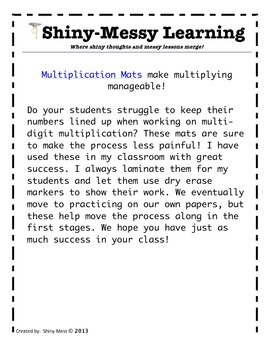 These mats are perfect for introducing and practicing two-digit multiplication. They help the student to keep their digits lined up, and help them to visualize. Two mats are included. 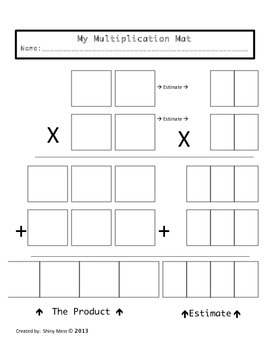 One includes space for estimating the product as well as solving for the product. I often laminate these and provide my students with dry-erase markers for practice. They are often requested by parents for homework helpers as well!